Jan. 9, 2019, San Francisco, CA — On the final day of the largest biotechnology and pharmaceutical partnering week at the Juvenescence Longevity Showcase two leading longevity biotechnology companies, Elevian and Insilico Medicine announced a research and development partnership to develop oral medications targeting the GDF11 pathway and associated targets. 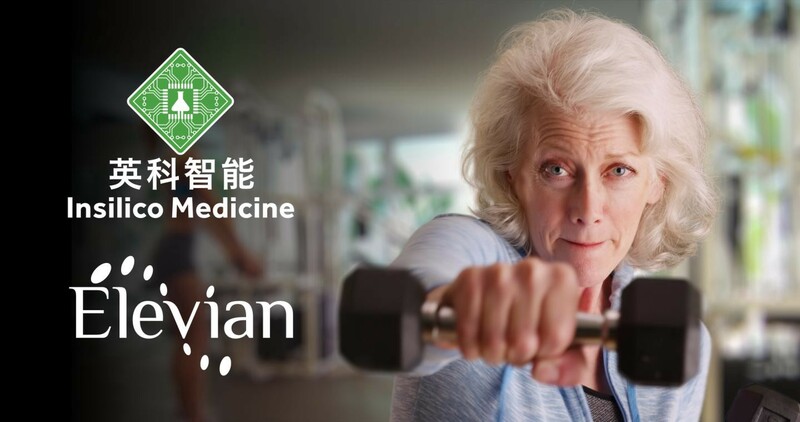 Elevian is an emerging biotech company developing medicines that restore youthful regenerative capacity, with the potential to treat and prevent the diseases of aging. Its first target is the GDF11 pathway. Insilico Medicine is an Artificial Intelligence (AI) company developing an end-to-end pipeline for automated target identification, small molecule generation, prediction of clinical trials outcomes and aging research. It is a leader in the fields of deep learning for drug discovery, biomarker development, and anti-aging interventions. The collaboration will take advantage of Insilico’s generative adversarial networks (GANs) and reinforcement learning (RL) AI technologies to discover novel small molecules that target the GDF11 pathway, which has been demonstrated to play an important role in aging and age-related disease. In order to succeed in this endeavor, the companies will utilize state of the art techniques in AI-enabled drug discovery. Based on biological and structural target data from Elevian, Insilico will identify small molecules that produce the intended biological actions utilizing deep learning technology. Starting out with existing libraries of compounds and molecular building blocks, based upon iterations of virtual and biological screenings, the scientists will narrow down the list of potential candidates. Subsequently, based on the results of previous iterations, Insilico will also provide a selection of novel de novo compound candidates, which will be synthesized by WuXi AppTec, a leading global pharmaceutical contract research and manufacturing organization. Using this approach, Insilico and WuXi have recently discovered novel small molecules for challenging targets. “My fund, BOLD Capital Partners, is a proud investor in both Elevian and Insilico. This partnership perfectly illustrates the convergence of biotechnology and AI, which together are shaping the future health of humanity,” said Peter Diamandis, MD, Founder and Chairman of the XPRIZE Foundation and Partner at BOLD Capital Partners. Insilico pioneered the applications of the generative adversarial networks (GANs) and reinforcement learning for generation of novel molecular structures for diseases with a known ligand and with no known targets. In addition to working collaborations with large pharmaceutical companies, the company is pursuing internal drug discovery programs in cancer, dermatological diseases, fibrosis, Parkinson’s Disease, Alzheimer’s Disease, ALS, diabetes, sarcopenia, and aging. Through a partnership with LifeExtension.com the company launched a range of nutraceutical products, compounded using advanced bioinformatics and deep learning techniques. It also provides a range of consumer-facing applications, including Young.AI. Elevian is an emerging biotech company developing medicines that restore youthful regenerative capacity, with the potential to treat and prevent the diseases of aging. Elevian’s scientific founders, working at the Harvard Department of Stem Cell and Regenerative Biology, discovered that replenishing the circulating factor GDF11 can regenerate the heart, brain, muscle and other tissues. Elevian has acquired exclusive, worldwide rights to Harvard’s patent portfolio concerning circulating factors that regulate aging. The company is developing new medicines that target the GDF11 pathway. Elevian’s lead drug candidate (recombinant human GDF11) has demonstrated efficacy in preclinical models of heart failure, Alzheimer’s disease, stroke, Type 2 diabetes, and age-related muscle dysfunction. The company has also established additional programs focused on the discovery and development of novel proteins, antibodies and small molecule drugs that target the GDF11 pathway.